Looking for a laser distance measurer? Bosch and LEICA have two great devices designed for the same purpose. This comprehensive comparison will help you find out which of the two distance measurers is more suited for your needs. 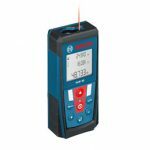 The Bosch GLM 80 distance measurer is designed for precise and accurate distance measuring applications. The measurer uses advanced laser technologies to precisely and easily measure distance, volume, area and angle. 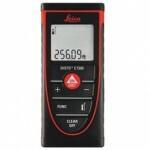 It is a user-friendly gadget with compact design, massive features and various modes of taking measurements. The GLM 80 distance measurer is designed for versatility to work in any of its measurement modes in order to meet your needs. If you need to measure inaccessible distances that do not have reflecting surfaces, or are blocked by certain objects, the measurer uses the indirect length mode of measurement that deploys the Pythagorean Theorem. When you need to measure plumb lines and diagonals with the longest and shortest distances from a certain point that is fixed, the devices uses the maximum/minimum measurement mode. When your area of application requires the measurement of the sum area of several independent surfaces that have a common height or length, the measurer puts its multi-surface area mode into action. The measurer features an in-built tilt sensor that measures 360 angles in a couple of axes for improved accuracy. This means that whether your distances are vertical or horizontal, you are guaranteed accurate measurements. It also adopts the use tilt-screen technology to ensure that your display is turned every time you tilt the measurer at an angle of 75 degrees even when you have device turned upside down. You can also view the measurer’s screen in all directions, thanks to the display’s 4-dot matrix backlit feature. The measurer is designed to store the last 20 calculations in its memory automatically, together with their combinational and individual measurements summed up. The constant feature allows permanent storage of the same if needed. It comes with a micro-USB port that is standardized for purposes of recharging the device’s battery. 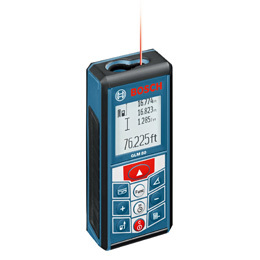 Within a single charge, you can make a maximum of 25,000 calculations before the battery is discharged, thanks to the Li-ion battery integrated in this laser measurer by Bosch. It is designed to feature a compact ergonomic design with 4 flat surfaces, enabling it to fit in work belts or pockets comfortably. In addition to being dust-resistant, the measurer has a touch design that renders it resistant to falls or drops. This means you can drop your device 3 feet below without damaging it. Although the device comes with a 1-year warranty, you get an additional warranty year if you buy the measurer from the official site of Bosch. 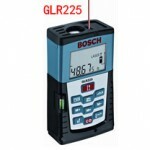 Bosch GLM 80 laser distance measurer comes packed with Li-ion battery, belt pouch, a charger, and a user manual. 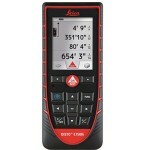 The LEICA DISTO X310 laser distance measurer is designed to the IP65 standard, making it water and dust resistant. It can be dropped up to 2m without experiencing any damages. It is also designed to make absolute accurate measurements of indirect heights and lengths, thanks to the tilt sensor it features that works at an angle of 360 degrees. The measurer is designed for use in application areas with harsh environmental conditions, hence guarantees reliable calculations. 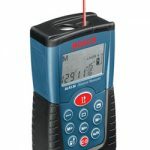 It also features a smart horizontal mode of operation for measuring distances with obstructing objects, power range technology, height tracking, auto end-piece with multiple functions, and a 4-line display that is well illuminated. It comes packed with a hand loop, batteries, holster and a manual. The Bosch GLM 80 and LEICA DISTO X310 distance measurers are designed for the same purpose and have similar features. 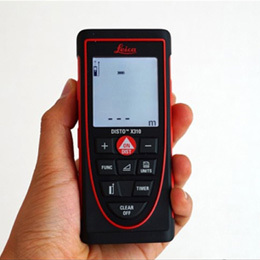 If you need to use your measurer in harsh conditions with so much dust and humidity in the environment, go for the LEICA DISTO X310 laser distance measurer. 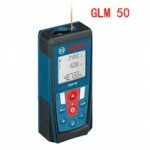 Click here to purchase Bosch GLM 80 on Amazon! Click here to purchase Leica DISTO X310 on Amazon!